When I blogged about Benedict, Rule ch. 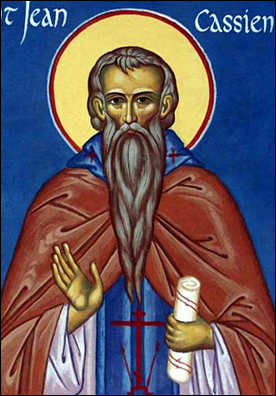 1, I had forgotten that John Cassian (subject of my MA dissertation!) 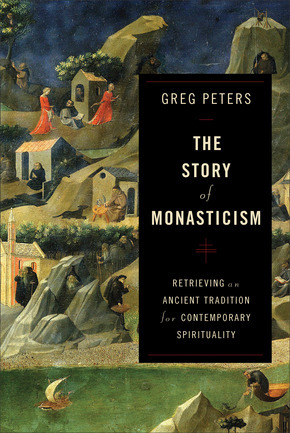 had also discussed the different kinds of monks (Greg Peters, The Story of Monasticism has reminded me). As you will recall, Benedict lists the four kinds of monks as coenobites, anchorites/hermits, sarabaites, and gyrovagues. He gets this from the Rule of the Master, and the Master (not a Timelord) gets it from Cassian about a century before. Wherefore you should first hear how or whence the system and beginning of our order took its rise. For only then can a man at all effectually be trained in any art he may wish, and be urged on to practise it diligently, when he has learnt the glory of its authors and founders. There are three kinds of monks in Egypt, of which two are admirable, the third is a poor sort of thing and by all means to be avoided. The first is that of the Cœnobites, who live together in a congregation and are governed by the direction of a single Elder: and of this kind there is the largest number of monks dwelling throughout the whole of Egypt. The second is that of the anchorites, who were first trained in the Cœnobium and then being made perfect in practical life chose the recesses of the desert: and in this order we also hope to gain a place. The third is the reprehensible one of the Sarabaites. And of these we will discourse more fully one by one in order. Of these three orders then you ought, as we said, first to know about the founders. For at once from this there may arise either a hatred for the order which is to be avoided, or a longing for that which is to be followed, because each way is sure to carry the man who follows it, to that end which its author and discoverer has reached. Cassian (in the guise of Abba ) goes on to discuss these three types of monk in turn. Coenobites are obvious, it seems to me, as are anchorites/hermits. Sarabaites are a bit harder to pin down. They are basically ‘monks so-called’ when you consider Cassian’s description in Conf. 18.7. They settle where they please and do what they please — so long as it is loud and clear to everyone that they are monks. That is, they are vainglorious about their monastic profession but fail to live by the monastic way in actual fact. Funny how these things go. Anyway, what of Benedict’s gyrovagues? It should be clear from the above that since Benedict and the Master are using Cassian as a source, they do not have the Irish in mind for any of this, since Cassian pre-dates both Palladius and Patrick, even if early to mid-sixth-century Italy was aware of Ireland and wandering Irish monks (which I sincerely doubt; we overplay the importance of the Irish on the continent before Columbanus and even then overplay Columbanus’ importance). Cassian doesn’t mention gyrovagues. He and Germanus, in fact, look suspiciously like gyrovagues. He does give us a fourth kind of monk (18.8), but these are false anchorites — monks who joined a coenobium but were too proud and hardheaded and hardhearted to submit to the community and the abbot, so they left on the pretence of needing to become hermits. But their hearts are not truly those of solitaries. Elsewhere, Cassian warns against seeking the solitary life because you don’t get along with people. He points out that you will bring along your own dark heart when you go. If your great demon is anger, you cannot think you’ve progressed in virtue by not being angry when there is no one to anger you. You must overcome such passions only by living amongst others. If Irish exile/pilgrim-monks had made their way to Italy, I admit the possibility of them being the Master’s target. There is probably also a local kind of abuse going on here, though. Over the fifth and sixth centuries, monasticism became a regularised feature of life in the western Mediterranean. Why not become a wandering ‘monk’ and enjoy the hospitality of the various monasteries rather than settle down and live the hard life of obedience to a rule? Obedience to a rule, to an abbot, or to a spiritual father (‘abba’) is a common feature of early eastern and western monasticism. The gyrovagues and Sarabaites lack this. I find it unsurprising, then, that Cassian, the Master, and Benedict reject these monks. Today, especially amongst low-church Protestants as well as in ‘the world’, the active life is prized very, very highly. Too highly, at times. We would do well to wed it with the contemplative.